Named after the beautiful Croatian town, the Dubrovnik ferry has a capacity for up to 1300 people and around 300 cars. On board you will find a selection of cabin accommodation and airline style seats to relax in, a self-service restaurant with 224 seats, patisserie, a bar/coffee shop holding up to 274 people, video room, movie theatre, chapel, children’s play area, a la carte restaurant and duty free shopping. Please Note: Whilst we have taken great care in making our Dubrovnik guide as accurate as possible, onboard facilities, services and entertainment may vary depending on the date and time of year that you travel, facilities mentioned may change without notification and ferry companies reserve the right to operate vessels other than those mentioned at time of booking without prior notification. Nice trip, kind staff, all ok. There is no competinion on this route so it is no possible to compare. The journey was comfortable and I did not have any problems. Wonderful experience. Slept great. Lovely crew. I travelled from Bari to Dubrovnik with Jadrolinija in a cabin. It was a nice trip and I slept very well, because the sea was very calm. Good breakfast, could be improved. My group of friends and me have been traveling for the past 4 weeks we need a cheap and simple way to get to Croatia. With the ferry it was super easy and although not the comfiest on the deck we managed. We were able to travel and night and then have the full day in Dubrovnik. One thing I would suggest is you should be WAY clearer in the instructions of the check-in in Berry that you need to go to a different section of the port and what time it opens at. "Overnight Ferry Dubrovnik-Bari: could be better"
The room was big enough for an overnight trip and the beds were relatively comfortable. The staff were helpful and efficient. However, the coffee was not great and the breakfast selection was minimal. 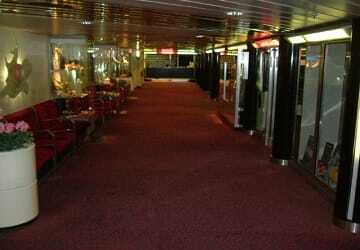 There were no towels or soap provided unlike in other ferry companies. This is the only company we could travel with for this route, but if we had another choice later on we would not choose Jadrolinija again, especially at such a high price. We found Blue Line to be more comfortable and better equipped. The ferry trip from Bari to Dubrovnik was easy and pleasant. Check in was fast and efficient. 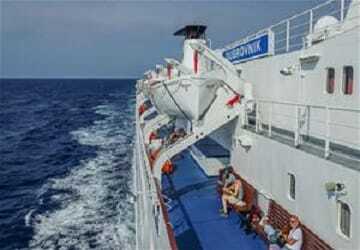 The trip was very nice and on/off the ship was fast and easy. Thanks, I enjoyed it. "Ferry crossing with an unusual check-in procedure"
The crossing was great, ferry was excellent, but the check in procedure was unusual as we arrived at the port and had to take a shuttle 3kms away to check in and then shuttle back. No big deal, just be sure to arrive ahead of time as suggested. The ferry was very convenient. The staff was friendly, the rooms were clean and all our needs were met. I would recommend this service to anyone. A truly great experience! 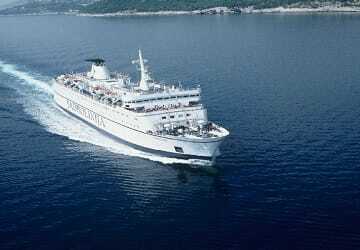 "Ferry crossing Dubrovnik - Bari"
On Sunday, September 14th, we made a day trip with Jadrolinja from Dubrovnik to Bari. 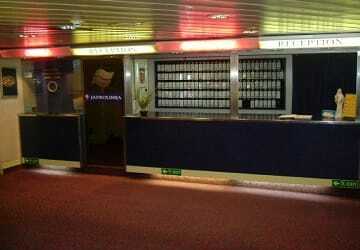 We booked through Directferries and collected the tickets in the morning at the Jadrolinija ticket office. The crossing went well, we left and arrived on time. 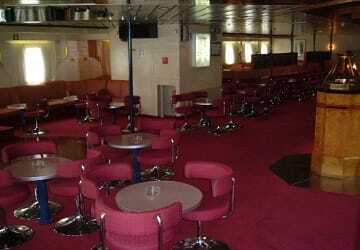 The restaurants on board offer affordable meals and there’s also a bar which serves coffee and soft drinks. 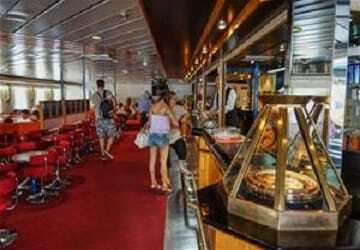 "trip Bari - Dubrovnic - Bari"
well organized, great breakfast on board included in the cabin price. Friendly and helpful staff.